The end is nigh. With the release of the last two beers – Straight Jacket and Boss Ryeway – Revolution closes out its 2018 Deep Wood series run. This ends an impressive year for the Deep Wood series, as Revolution had successfully added six never before canned beers to the lineup and sellouts – usually something that rarely if ever happened – have been more common than not. Enough pontificating! You’re here for the beer (review), so here we go. Check the end of the post for my overall Deep Wood 2018 rankings (mainly for Josh Noel’s edification). Revolution’s Deep Wood series has been going strong since 2012 – and Straight Jacket is the only one that has been released each and every time. Their Institutionalized barleywine aged for about 12 months in bourbon barrels, Revolution has won some hardware for it, including a FoBAB gold medal in 2014 (and a bronze at this past year’s). Along with Deth’s Tar, it’s the flagship of Deep Wood series. 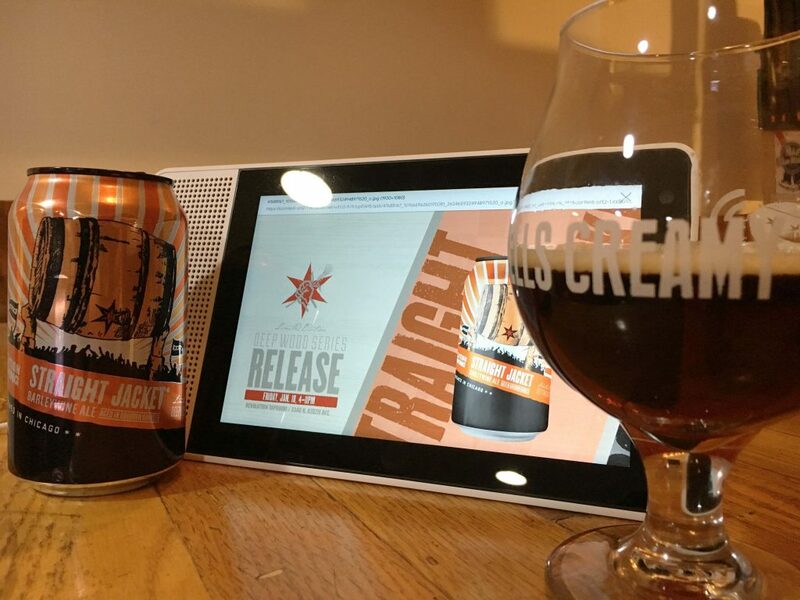 Straight Jacket looks like a traditional barleywine – brown and orange with hints of red and crimson. A healthy amount of head quickly leaves and there’s not much around after. In addition to the alcohol (it’s 13.1%! ), Straight Jacket is a complex melange of caramel, toffee, raisins, prunes, and some baking spices, while the barrel contributes some oaky and vanilla notes. It’s all there in the taste too! Caramel and toffee lead the way, with some raisins and vanilla backing it up. The worst thing about it? It’s smooth and easy drinking. There is a slight alcohol burn on the very back of the throat, but nothing prohibitive. It moves across the tongue pretty fast, leaving some caramel/toffee sweetness behind. The mouthfeel is suitable for a barleywine; not thick and viscous like a big stout but right in the middle, perfect for the barrel. The carbonation prevents it from turning into a slow moving molasses across the tongue, but not so much it’s effervescent. This barleywine is just right! Thankfully Revolution makes pallets and pallets of this, so it shouldn’t be that hard to get. If you’re a fan of barleywines, this is a not miss. It’s sweet, but not pastry stout sweet, there’s very little perceptible alcohol in the taste, and it’s dangerously easy to drink a 4-pack of it. Not recommended but definitely achievable (just listen to our Deep Wood Deeper Dive next week to hear what happens when we do 5). Still a standout and one of the better Deep Wood beers released. Quite possibly the most anticipated all-new beer in the Deep Woods lineup (V.S.O.J. 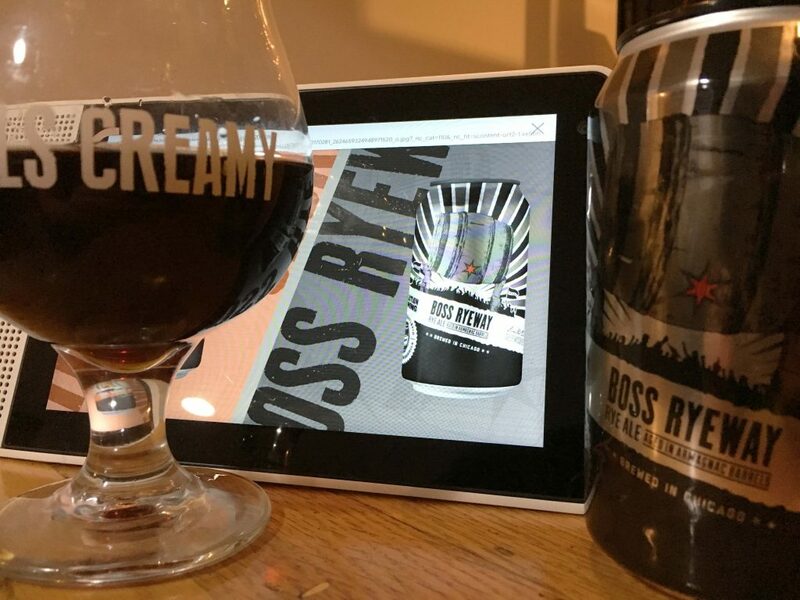 was released draft-only prior to its canning), Boss Ryeway of course is among the last cans released. Is the anticipation worth it? Boss Ryeway is simply Revolution’s Ryeway to Heaven aged in WhistlePig The Boss Hog Armagnac barrels. So in many respects it’s very similar to Ryeway to Heaven, but there are some very notable differences. Boss Ryeway pours a chestnut color with some red and burnt orange highlights and almost no head. The Deep Wood burn™ is there, as are the rye spices and caramel from Heaven. The Armagnac barrels make themselves known with some sweetness and berries notes – possibly blueberries? – present. Much like Ryeway to Heaven, this beer’s nose is subtle and takes some digging to get there. This one’s definitely a sipper, as the booze is very much there when you taste it, but it’s an enjoyable burn that keeps you coming back for more. It’s got a smooth finish, and some of that caramel, spice, and oak in the Heaven is here too, but the Armagnac barrels really shine, providing more sweetness and some dryness at the end. There are some grape-like notes there as well. The carbonation is a bit lower on Boss Ryeway, making it move a bit slower across the tongue and giving it the perception of a bigger body than its cousin. A damn good beer overall, it really gives the drinker a different perspective of Ryeway to Heaven and what other barrels Revolution could put it in to. The booze is tame, the beer very quaffable, and hopefully similar beers to this will be made in subsequent Deep Wood releases. Get ready to wait in line. 10. Code Switch – The sweetest beer in the lineup. Tons of blackberry that will eventually fade while the Belgian Quad will shine. 9. Gravedigger Billy – Great Scotch ale with a hint of smokiness. 8. Deth’s Tar – Very, very boozy, nice chocolate notes. 7. Ryeway to Heaven – Lovely sipper, just thinner than last year’s. 6. Cafe Deth – Tons of coffee, almost to the determent of the base beer. Will age gracefully (recently had a 2017 that was better than this one). 5. Deth by Currants – Very fruity, but not in a cloying way. Base beer and barrel are up front, followed by the currants. 4. Vanilla Deth – Subtle vanilla that lets the barrel shine. 3. Straight Jacket – Still one of the best. No new unique twist, just a ton of barleywine notes and not a lot of heat. 2. Boss Ryeway – Delicious, but not as drastically different for the style as V.S.O.J.. Definitely worth the line. 1. V.S.O.J. 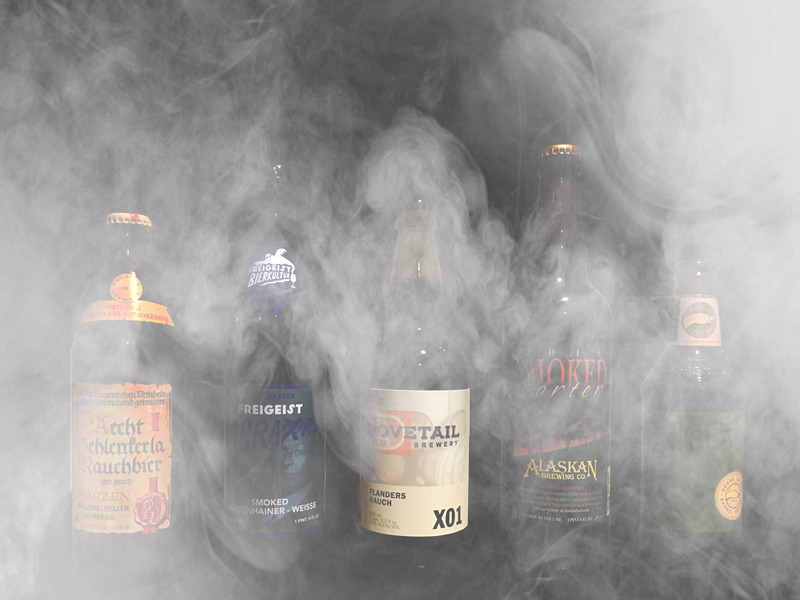 – Revolutionary for the barleywine style. All the barleywine notes are there, but with a ton of chocolate coming from the barrels. 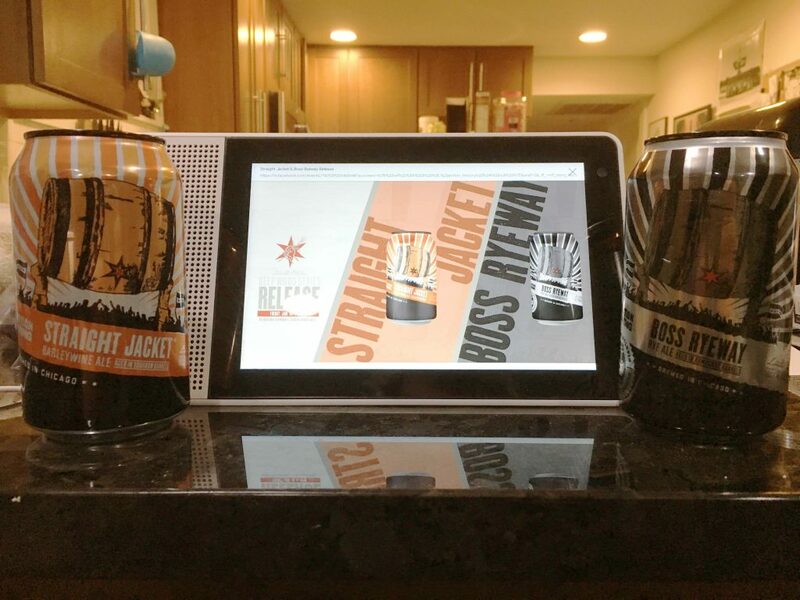 Revolution will release Straight Jacket and Boss Ryeway on Friday, January 18 from 4 P.M. – 11P.M. at the Kedzie Taproom. Straight Jacket is $25 per four pack with no limit (!) and will see limited distribution. Boss Ryeway is $35 per 4-pack with a limit of 2 4-packs per person and is taproom only. A big thanks to Revolution for allowing us to preview the Deep Wood series beers all year.